Industrial oil by Mobile are used as a lubricant reducing friction and wear of parts and components of various industrial machines. The main functions of this type of oil is anti-corrosion protection, dissipation of heat from friction parts, removal of contaminants and reduction of foaming. 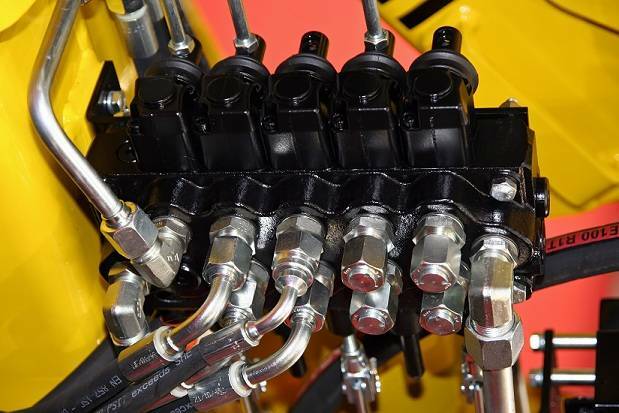 Mobile industrial oils can also be used as the base for hydraulic fluid, as well as grease, which extends durability and lifetime of equipment. Despite the fact that practically all industrial oils are thoroughly tested in laboratories before dispatch to the user, the oils become contaminated during operation. Mobile industrial oil, just as any oil, can be contaminated by atmospheric oxygen, water and particulate matter. Interaction with aggressive media may accelerate oil oxidation, which is accompanied by accumulation of even more contaminants in the oil. Saturation of oil by contaminants degrades the oil’s performance. Due to aging, the industrial oil cannot efficiently dissipate heat and protect equipment from corrosion. It would seem that the aging process is natural and nothing can be done about it, save replacing industrial oil with new and disposing of the old oil. However, a practical operator will be concerned by the additional costs of disposal, as well as frequent oil changes. Fortunately, aging of oil is not critical. The process can be significantly slowed; the lifecycle of lubricating oil can be significantly extended. It is necessary to regularly take oil samples to understand the oil’s condition and to detect contaminants degrading performance to purify the oil in time. In theory, the methods are abundant, with the most efficient ones used practically. GlobeCore is one of the leading manufacturers and suppliers of industrial, turbine and electrical insulation oil purification systems. The CMM-CM type units and CFU-M filter carts made by GlobeCore are successfully operated in more than 70 countries. They are efficient for purification and regeneration of Mobile industrial oil. This was made possible by using modern technologies and maximizing customization operation for the individual client. The CMM-CM units are designed for removal for water and solid particles from the oil by using a special zeolite sorbent and subsequent reactivation of this sorbent in the system. The CFU-M filtration carts are designed for removal of solid particles from industrial oil. These units can purify the product in one cycle. Both types are simple in service and operation and facilitate a significant extention of industrial oil life cycle.